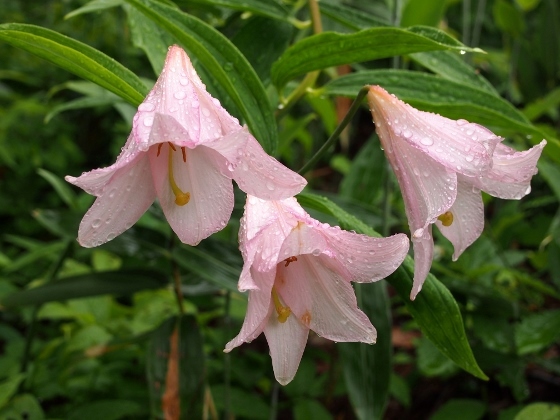 Today I attended nature watch event of visiting habitats of Lilium rubellum at Tadami Town. 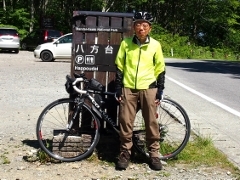 We started from Beech Center of Tadami Town and visited two habitats; Yuridaira and Irikanatsu. 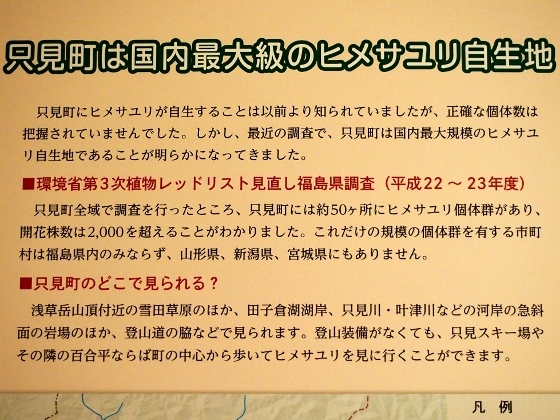 First, explanation panel in the museum of Beech Center regarding Lilium rubellum distribution at Tadami Town was shown above. 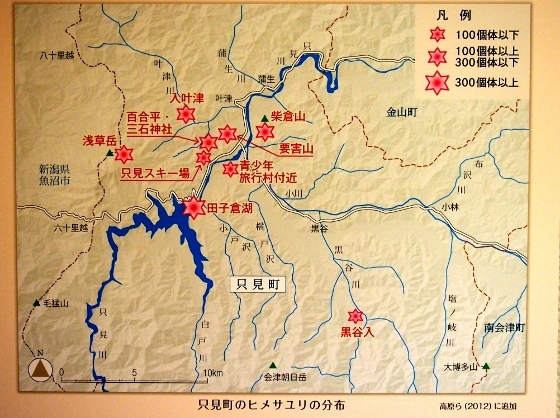 The first habitat Yuridaira was located about 20 minutes' walk from JR Tadami Station. 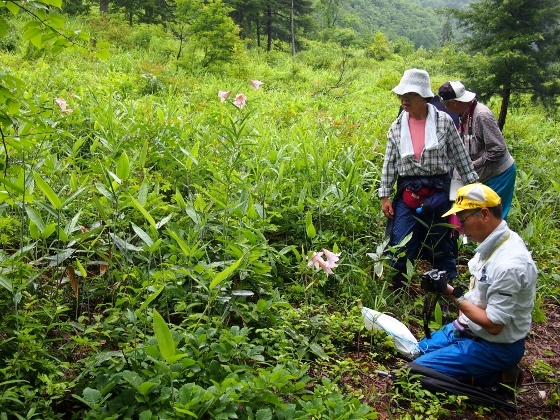 It was a real habitat; however men and women remove grasses once or twice a year at Yuridaira. Today flower bloom was almost over and only few of them were left. 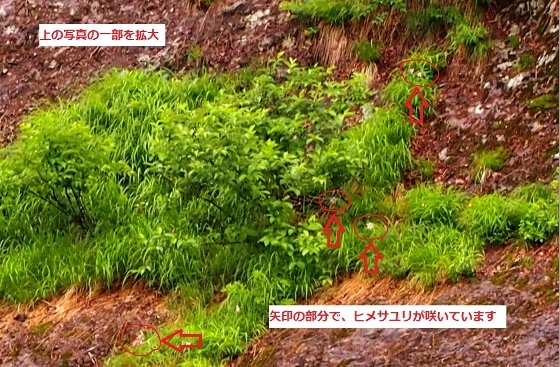 Above photos show the view at Yuridaira and flowers of Lilium rubellum. Next we went to habitat at Irikanatsu area along Kanatsu River. Here as shown above steep slopes had been scraped off by frequent snow slides. 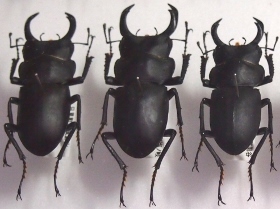 Human has nothing to do with these slopes thus these habitats are 100% wild. 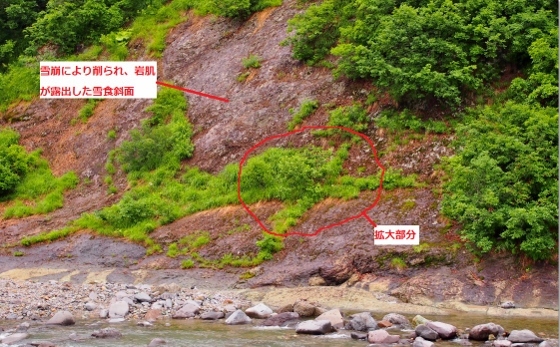 We could not get close to those Lilium rubellums since they were on the other side of the large river. However, when I magnified the view I could find several flowers of Lilium rubellum there. 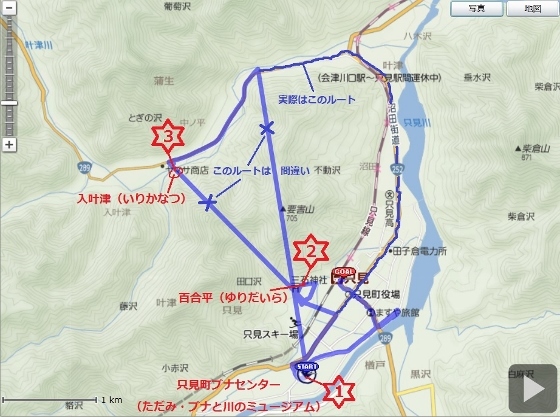 There live many black bears at Tadami Town. 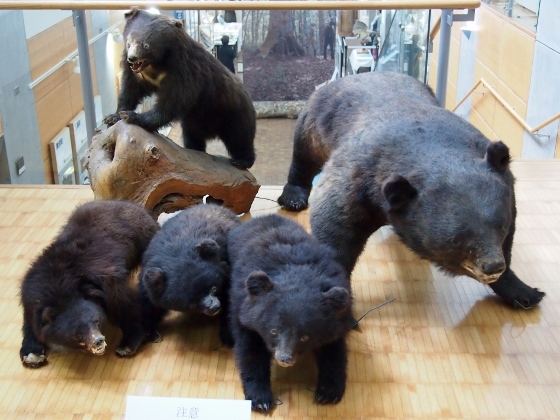 The museum displayed some stuffed bears. 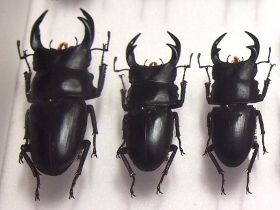 I also found some specimens of stag beetles which were caught at Tadami Town.